Club Membership is also PRO-RATA so if you join later in the year you will be charged only a percentage of the full amount, please ask staff for details. We now operate a clay mate system which counts each individual clay released from the traps, club members get a discounted price. The Price per clay is 24p each for members and 30p each for non-members. We have Shotguns and various Rifles (both rim-fire and centre-fire) available to hire. Ask at the club for details. Ammunition is also available to purchase, please see the notice board in the clubhouse for prices and availability. Food and Drinks are available at the club, prices are also on the notice board in the kitchen. Corporate Parties/Stag and Hen Parties are also available please contact us for details. Can my friend shoot with me? For clays yes, however, anything else they need to be a probationer member. 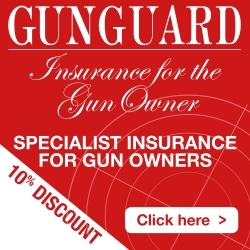 No, we have a selection of club guns which can be hired for a nominal fee. What I.D. do I need to join? Two lots of photo ID is required showing name and address. Suitable clothes for wet weather. Suitable footwear, as the ground can sometimes be uneven and muddy. Ear and eye protection (can be hired from the club but is limited). We are located in Lincolnshire... Our site was renowned for Bristol beau fighters during the 2nd world war. Later it became a Bloodhound missile base for surface to air missiles until it closed in 1990 approx.